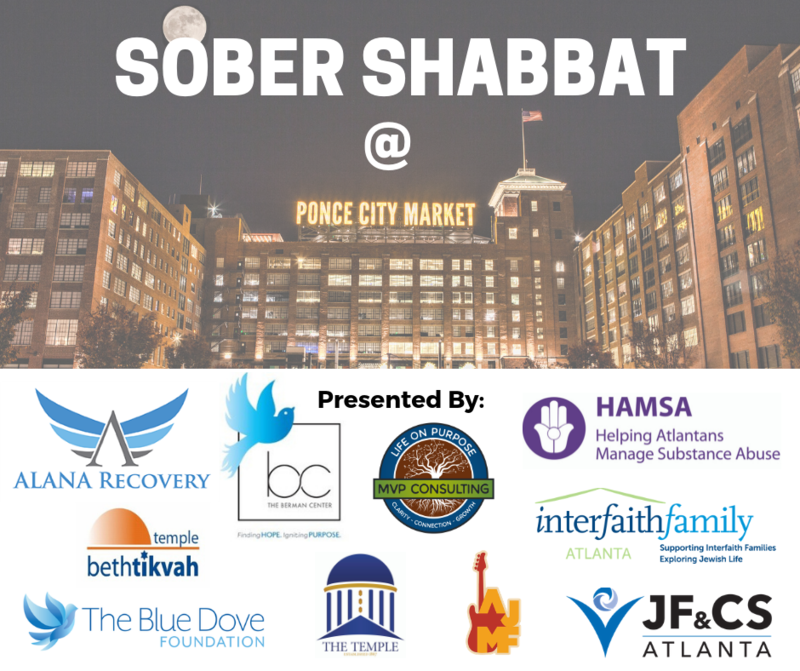 Hosted by The Berman Center, Alana Recovery Center HAMSA (Helping Atlantans Manage Substance Abuse), InterfaithFamily/Atlanta and MVP Consulting. Join us for Sober Shabbat! If you register and have not already registered, you will receive periodic updates and communications from Jewish Family and Careers Services, Inc.
Price includes service, dinner and rooftop. "General" tickets cost $18.00, of which $0.00 is tax deductible. Copyright © 2019 Jewish Family & Career Services of Atlanta, Inc.